/ What Do I Do If Someone Steals My Identity? The world we live in today is fully technological, but this can be bad news. One of our greatest dangers is our identity being stolen – hacked. It is becoming an increasingly common problem and has severe consequences. There is a multi billion dollar industry – and its rapidly growing – around this. It is super easy to do. In fact it’s scary! You can buy an RFID scanner for about $20 online. People who know can make it steal your credit card information while it’s in your wallet and you are around 15 feet away! In fact, my credit union recently changed all of their ATM’s because people were installing devices to scan credit cards. It’s a real problem. This article explains exactly what to do if or when this happens, be prepared, but I also have exclusive access to the best way to prevent this! Click the button at the bottom of the page to find out. The entire U.S. federal workforce may be at risk after yet another intrusion from what security experts believe were hackers based in China. The Department of Homeland Security says that data from the Office of Personnel Management the human resources department for the federal government and the Interior Department has been infiltrated. It isn’t the first and it follows massive data breaches at health insurance companies, major U.S. banks such as JPMorgan Chase (JPM) and retailers such as Target (TGT) and Home Depot (HD). Here’s what to do if you think you’ve been compromised. 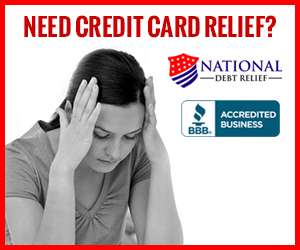 Notify the credit agencies (Equifax, Experian, TransUnion) and request a 90-day credit alert. (Each reporting agency is supposed to notify the others, but you may want to contact all three yourself.) The alert tells businesses to contact you before opening any new accounts in your name. You can renew the alert every 90 days, or you’re entitled to keep it in effect for seven years if you find that your identity is stolen and file a report with police. You might consider asking the reporting agencies to place a full freeze on your credit. This blocks any business from checking your credit to open a new account, so it’s a stronger measure than a credit alert. But you should weigh that against the hassle of notifying credit agencies to lift the freeze which can take a few days every time you apply for a loan, open a new account or even sign up for utility service. When your credit card bill comes, check closely for any irregularities. And don’t overlook small charges. Crooks are known to charge smaller amounts, usually under $10, to see if you notice. If you don’t, they may charge larger amounts later. Get a free credit report once a year from at least one of the major reporting agencies (Equifax, Experian, TransUnion), and review it for unauthorized accounts. Ignore services that charge a fee for credit reports. You can order them without charge at www.annualcreditreport.com. If you order from each agency once a year, you could effectively check your history every four months. Some experts say there’s not much to be gained from a paid credit monitoring service. But it can’t hurt to sign up for any monitoring offered for free by a company or any other entity that may have held your information when it was hacked. Note: These services will tell you if a new account is opened in your name, but they won’t prevent it, and many don’t check for things like bogus cellphone accounts, fraudulent applications for government benefits or claims for medical benefits. Some do offer limited insurance or help from a staffer trained to work with credit issuers and reporting agencies. Contact the credit issuer to dispute fraudulent charges and have the bogus account closed. Request your credit report and ask the reporting agencies to remove bogus accounts or any incorrect information from your record. See tip No. 1 on setting up a credit alert and/or freeze. Submit a report through the FTC website: www.consumer.ftc.gov. Click the “privacy & identity” tab, which will walk you through creating an affidavit you can show to creditors. Keep copies of all reports and correspondence. Use certified mail to get delivery receipts, and keep notes on every phone call. After a hack, scammers may try to use the stolen data to trick you into giving up more personal information. They can use that info to steal money in your accounts or open new credit cards. Don’t click on any links from emails. Bad software could be downloaded to your computer that can steal account passwords. You might get letters in the mail saying you won a tablet or vacation and give you a phone number to call. Don’t do it. It’s likely a ploy to gather more information from you. Hang up the phone if you get a call asking for account numbers or other information. Scammers may also send texts, so don’t click on any links from numbers you don’t know. Make sure to learn these steps so you can prepare, prepare for the worst and do everything to secure your data! Like and share!